As you all know I have a black dog. It is almost impossible to keep a black dog cool in the summer in the South, especially if you have a black dog that HATES water. But I can't keep him locked inside all summer - that's not fair to my super duper agility dog. He still loves his agility class, he LOVES his big backyard, he loves ROLLING in the freshly cut grass and he loves chasing all the critters out of the garden. So what's a dog mom to do? Well we have to find creative ways of keeping him cool during these horrible summer days. The most important thing is we do keep him inside during the worst heat of the day. If he has to go out - then he is only out for a few minutes then it's straight back in. He's constantly hydrated, he has water bowls all over the house. I don't leave home without plenty of water for the dog. And occasionally I DO hose him down, or throw him in the dock diving pool after agility class if it's available. Then I just end up with a mad black dog that looks like a drowned rat that I am sure is muttering obscenities at my under his breath. A cool coat - this one is from Clean Run. It's not where I got mine, but this is close to it. You can either put it on the dog as is, to reflect the light off the dog and keep them cooler or you can dunk them in water and them put them on the dog to keep them cool and that's usually what I choose to do. So I am going to make these this weekend and I will let you know if they are a hit! 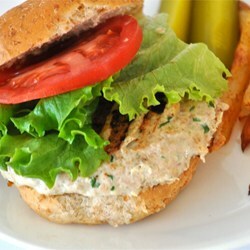 Living in the South, it's challenging in the summer to find something to eat that is appetizing despite the heat. We all want to eat healthy but have something yummy. But, you never want to eat heavy in the summer. No stews or soups. No big pastas or roasts. So it's always a struggle. But last night I think I hit a home run. I paired that with easy corn on the cob( white corn of course). It was crisp and sweet and just the best thing for it. 1. In a large bowl, mix together the coleslaw mix, sunflower seeds, almonds, green onions and crushed Ramen noodles. 2. 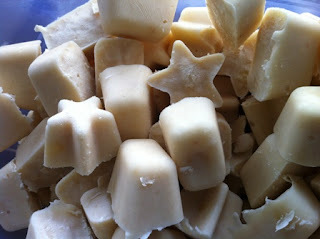 In a small bowl, whisk together the oil, sugar, vinegar and seasoning packets until well blended. 3. Pour the dressing over the coleslaw mixture and toss until it is evenly distributed. Refrigerate until ready to serve. 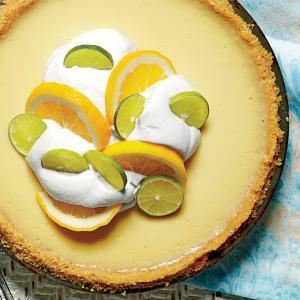 And last but not least - Key Lime Buttermilk Icebox pie from this month's Southern Living - because you know I can't stay away from my Southern Living magazine! I used the graham cracker crust, instead of the buttery cracker crust, but that was just a personal preference. I also cheated and didn't make my own whipped cream. Oh and the drink of the night - Peach Bellini's - YUM! Just some peach nectar with prosecco in a champagne glass! Drop some raspberries in there and Voila! Peach Bellinis! 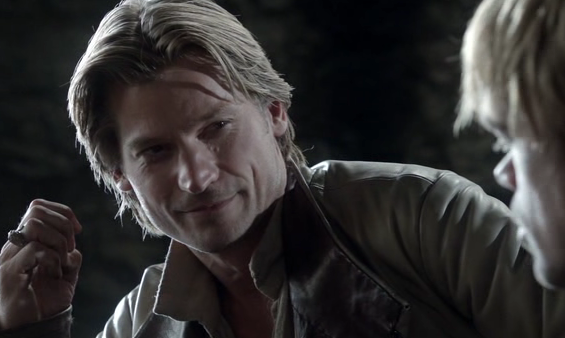 Jaime Lannister or Jamie Fraser?? I read - a LOT. I have been reading since I was a small child and I love it. I never feel complete unless I have a book in my hand. Now I am not a fan of movies or tv adaptations of my favorite books. In fact, I dread them - simply because they leave out so much of the story and the people that they cast are never the people that are in my head. But there are two shows out now that are adaptations of two fantastic book series. One is based on the Game of Thrones series. This is a series that I just recently( i.e. a couple of years ago) read and thoroughly enjoyed. I was very excited when HBO picked it up to make it into a series. HBO is known for their quality - The Tudors and the Sopranos, are among some of the great shows they have produced. So I wasn't worried there, I knew it would be fantastic. Then I heard that they were making a series out of Outlander. And it had been picked up by Starz. And I sighed, and worried and fretted. I have been reading Outlander for 20 years. I am now in the eighth book in the series and I have a LOT invested in Jamie and Claire. A LOT. I knew the author wouldn't let it go to a complete ruin but after TRYING to watch The White Queen on Starz and failing, I was very worried. I feel in these adaptations that casting is crucial. The reader has a certain vision in their mind of the character and if you don't nail that character in the tv show or movie then you aren't going to keep the reader. 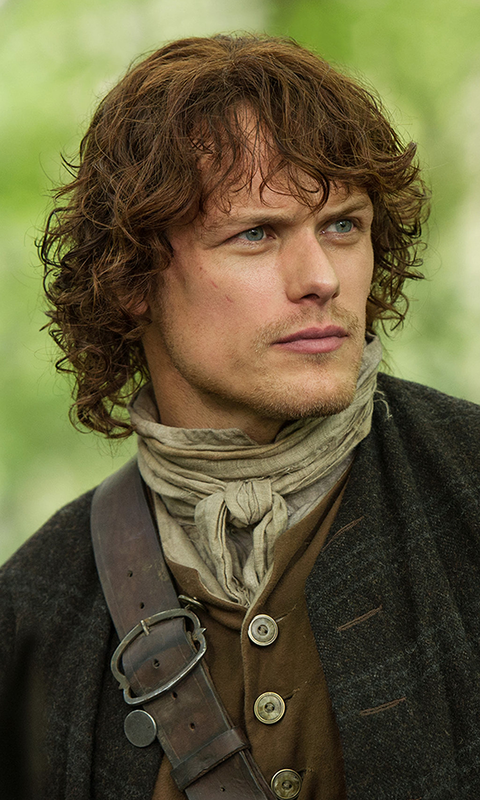 I think that GOT and Outlander have done a fantastic job in their casting of the main characters. They have made a few mistakes and it took me awhile to get used to Jamie and Claire in Outlander - moreso than it did the characters in GOT, simply because I don't have as many hours of my life invested in GOT as I do in Outlander. I highly recommend both of these series if you haven't watched them - or read the books, if you prefer. If you do watch, I warn you, they aren't for the faint of heart. I really do love where we live. We get to see all kinds of neat wildlife. We've seen deer, raccoons, chipmunks, owls and hawks, just to name a few. And we hear the coyotes all the time, although thankfully, we never get to see those. 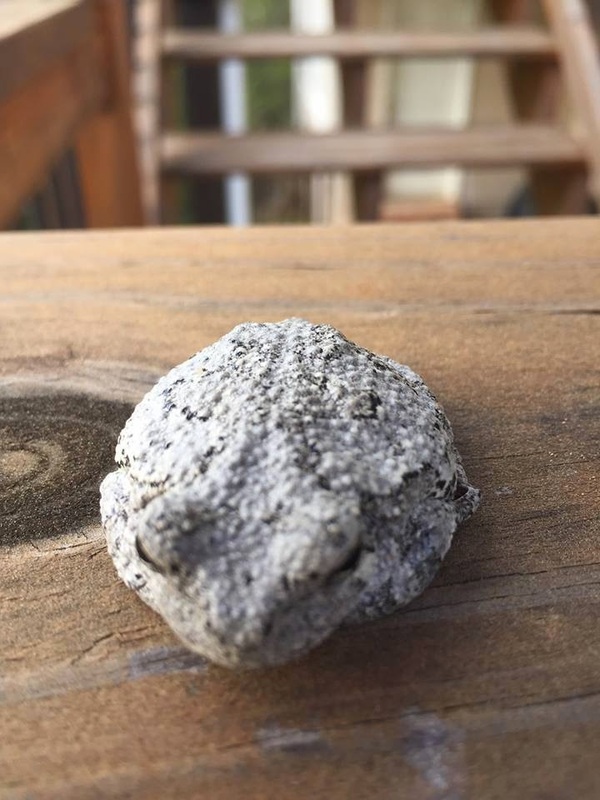 We think he's a Cope's Gray Tree Frog. Isn't he cute??? Don't know where he came from but he stayed on our porch all evening. Alas, he was gone this morning. Maybe he will come and see us again soon. ARGH! I am so tired of everyone being so RUDE! I mean, I am not always the nicest person, I DO have moments, as my husband and all my friends can attest to. 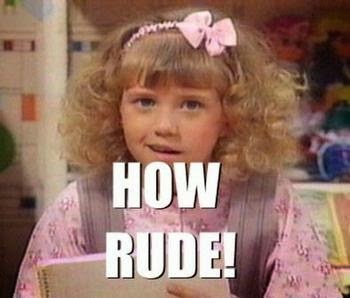 Most of the times my rudeness is unintentional. It's done mostly when I am in a hurry or very busy and I instantly regret my rudeness and if I get a chance I do apologize for being short or unpleasant. But in the past 2 weeks I encountered people who were just outright rude to me and I am just baffled. They were rude for no reason. I was not doing anything to them. I was minding my own business, doing my own thing, when they just busted into my business. I don't want use specifics, so I will use an example. It was like you were at the gym, and you were using a piece of the equipment and someone came over - WHILE you were using the equipment and just started to change the weights while you were resting between sets.
" But you were resting", says the rude person.
" But I have one more set" I counter.
" Too bad" says rude person, "You can use that machine OVER THERE". First I was too shocked to do anything. I couldn't believe someone would be THAT rude. I mean, we are in the South. The courteous thing to do would be to ask if I was finished, or if they could work in between sets. I am a reasonable person and I would probably have been happy to accommodate them. But, to just take over like that and try to kick me off? The ONLY thing that kept me from making a HUGE scene was that I didn't want to make a HUGE scene and my mother taught me not to yell at my elders. Although, I do admit I lost it the week before and DID yell at an elder. My patience only stretches so far at times. ( sorry Mom ). I am blessed. I have some of the best friends a person can have. I have the kind of friends that you can let loose and be yourself around. 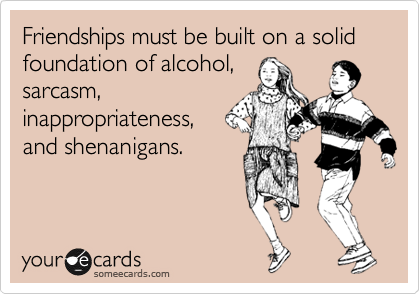 I have friends that I can be stupid silly around - and I don't even have to have been imbibing a bit to do it. They love me for who I am ( at least they say they do) and they aren't afraid to get stupid silly along with me. I am also fortunate enough to have a wide variety of friends who share my interests. And sometimes those friends can cross into other groups of friends and that's always fun - I like it when I can introduce new groups and they all get along. But sometimes they don't mesh and that's ok too. And it always amazes me how many friends the internet has brought my way. I have people whom I consider *good* friends, who I have never met in person, but I would not hesitate to stay at their house if invited. The only reason I haven't met them in person is I haven't made it to their geographic area - or them to mine. As one of my agility friends commented to me one day, when we were at an out of town show - "
You seem to have a friend in every city". It's true. I think I know someone in every area that I travel to. It's nice. If I can, I try to meet up with them when I get to their area. Sometimes they come to the show and visit, or sometimes we meet up for dinner, it just depends on time and scheduling. It seems like Georgia weather ( whenever it's not just plain HOT) is always in some kind of a flux. From April to June the question is always - is it going to rain? Can we have our party/concert/picnic outside or do we have to worry about getting wet? From January to March the BIG question is always SNOW? Is it going to snow/sleet/ice. The very second the weatherman says the big S word the whole city is thrown into a panic. Especially since the snowpacalypse of 2014. I can't say that I blame them. I was one of the lucky ones that was at home that day. I had minor surgery and had the day off, but my poor husband( who neglected to listen to my dire warnings) spent 6 hours in the car trying to get home - and he was one of the lucky ones. Many people spent the night in their cars or less than ideal conditions in a fast food restaurant or wherever they could find shelter. So when the weatherman forecasted snow/ice/sleet for this weekend, we all went into panic mode. FILL UP THE CAR, GET BREAD, GET MILK!!!!! The world is going to end!!!!! Now I can never figure out why people panic SO much - I mean we are in the south, which really means if we are stuck it's usually not for more than 3 or 4 days. So can I do without bread and milk for 3 or 4 days? Yep. Will I starve? Nope. I have other ways to sustain me. Tequila is always a good choice. Or wine, or even one of the lesser drinks such as soda or GASP - WATER! I have a whole pantry FULL of food that can be eaten - that frankly SHOULD be eaten and hey, I could probably benefit from being stuck in my house for a week, JUST to go through my pantry and clean it out a bit. Since DH and I have been on a couponing and BOGO kick, it's getting a little full. So bring it on Mother Nature. But if you do, leave the power on please but kill the internet. That way I can stay warm but not feel obligated to work. This is the one time I won't be mad if Comcast fails me. The Organized Wife - organized and fabulous.